P. O. Box 74934 - 00200, Nairobi, Kenya. There are no restrictions in Kenya on how many expatriate crew members or artists can arrive per production. Advance notice is more of a courtesy than a requirement. 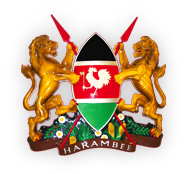 Crew members and artists may arrive in Kenya on a visitor's pass prior to the film work permit being processed.